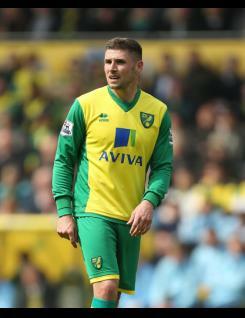 Gary Hooper is a young striker who joined Scunthorpe United from Southend in the summer of 2008.&nbsp; Very quick and lively with a good touch on the ball, he also has a great eye for goal. Gary enjoyed a sensational first season with the Iron, netting 30 goals in all competitions and helping to fire the team back into the Championship at the first time of asking.&nbsp; A regular partnering Paul Hayes up front in 2009-10, he again finished as the Iron?s top scorer.&nbsp; Gary began his career with Grays Athletic, playing regular first-team football from the age of 16. Ahead of the 2010-11 season, Gary transferred to Celtic and went on to finish the campaign as top scorer for the SPL club.